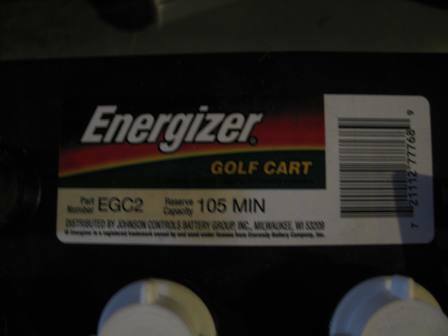 Here is a photo of the 2 - 6 volt Energizer Golf Cart Batteries that will be the first additions to my battery bank. 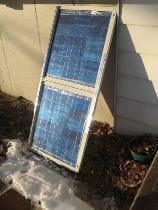 I purchased them at my local Sam's Club for around $80.00 each, that includes a 9.00 core charge also. I went back to Sam's Club recently to find no batteries left on the shelf, but asked the employee there to check to see if they had any in back. The employee came back and noted they had 109 of these batteries in the back, she said they get a bunch because of local golf courses and shops buy them there. You can see below the label. 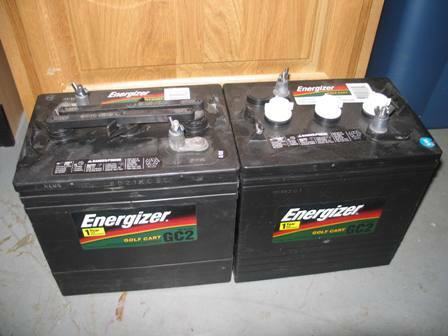 These are Energizer EGC2 batteries, they have an amphour rating of 220ah(although not shown). 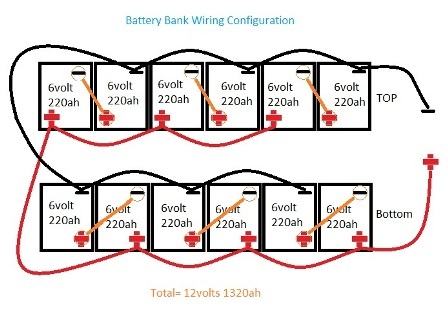 Finally got together a diagram of how the battery bank should eventually look. Below you will see the there are 12 batteries, configured in series, and then parrallel. Putting these batteries in series is what creates the 12 volt side of the bank. Coupled with series is the batteries configured in parrallel, this gives the batteries more capacity 220ah X 6 = 1320ah total battery capacity. 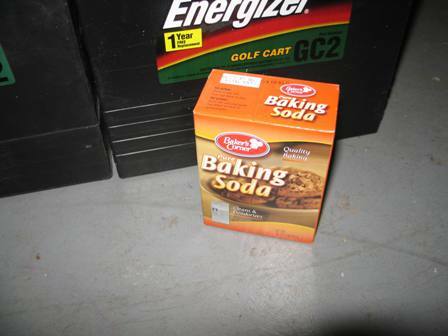 Don't forget Safety around batteries, always have a box of baking soda around. If battery acid is spilled out of the batteries put baking soda on the acid to neutralize it.